3.4M Low Float! 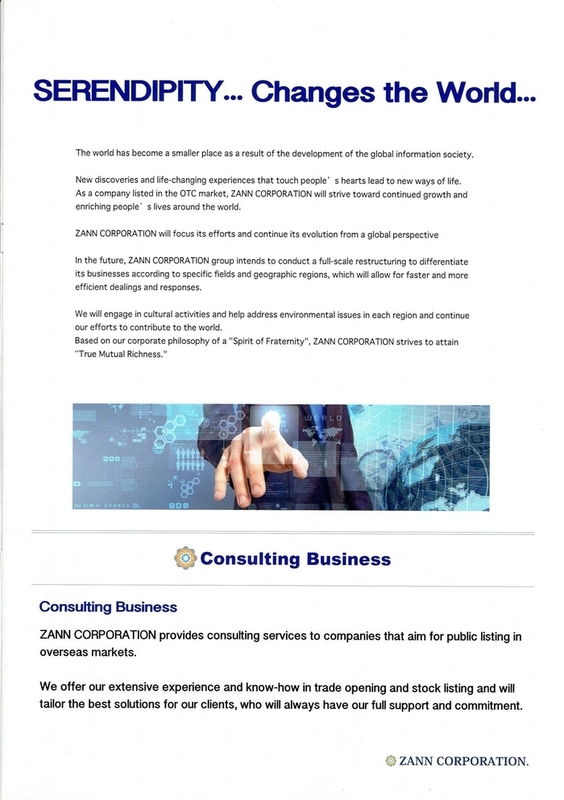 | Company worth $1 per share based on assets!
" 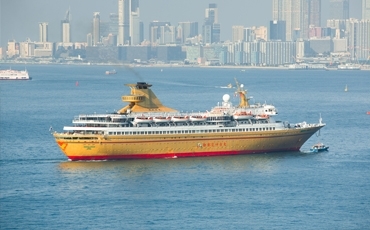 Operation / management · accommodation facility management · accommodation facility · planning · operation of entertainment cruise ships · oriental dragon cruise "
ZANN CORPORATION GROUP launched ZANN CRUISE ASIA by Hong Kong Oriental Dragon '7th floor of Japanese casino'. 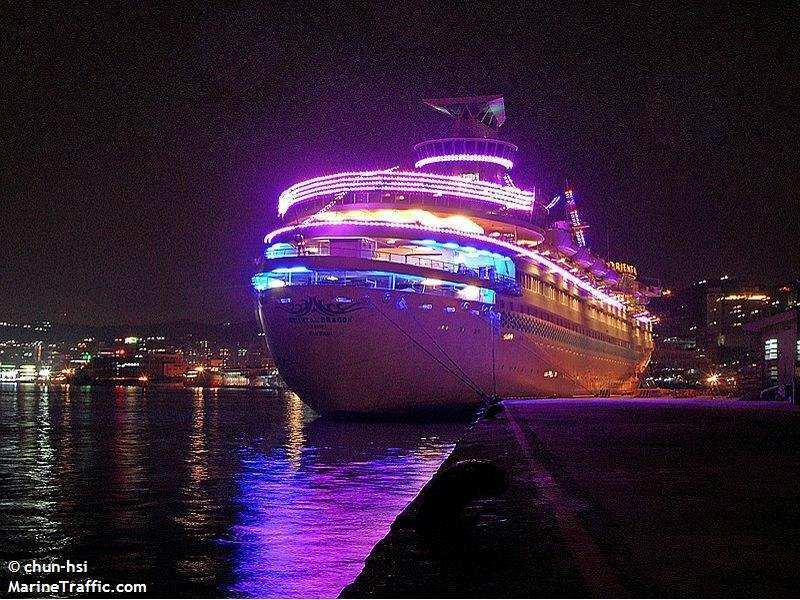 We monopolize more than 80% share of the Hong Kong cruise market, and occupy an extremely important position in the Hong Kong cruise industry. We will develop it to markets in Singapore, Malaysia, Taiwan and Japan in the future. "Shimbashi 2 minutes. I'm sticking to cooking for over 47 years. If you want to eat fresh natural fish, you want to visit without hesitation." Premium Ice Cream “Crystal 117”, created with a dedicated recipe that puts “beauty and health” at the forefront, uses only natural ingredients and is the first ice cream with a high concentration of placenta on the Japanese market. It is already known that placenta is a treasure trove of nutrients including a dozen types of amino acids, nucleic acids, various vitamins, minerals, enzymes and types of mucopolysaccharides. Placenta is also recognized as being effective not only for “health” but for “beauty” as well. It is said that placenta has nutrients that make skin beautiful, repair damaged skin, keep the body young and also has growth factors that promote cell division and proliferation. Reports have shown that placenta is also effective in promoting natural healing powers and anti-aging. was year. Received the flow of the shochu boom, it has been drunk as a liquor enjoying easily as more stores deal abundantly with shochu . Full flavor shochu "Top" is charged with a gentle, gentle and gorgeous "white koji · soup koji" with "Golden Thousand dyed " as the raw material of potato shochu, in order to give more soft and mellowness, It is a gem that made use of the original flavor of potato in "atmospheric distillation" . Originally we are selling only for our specialty customers, but we decided to begin general sale at the request of everyone. In other, it is "authentic phantom authentic shochu" which can not be obtained at all. It is a gem that I want to deliver to people who love shochu who can tell the difference.